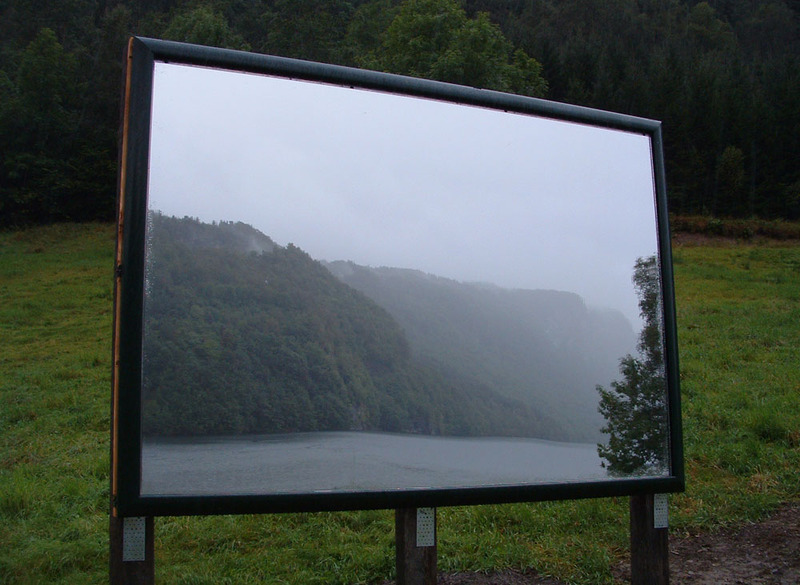 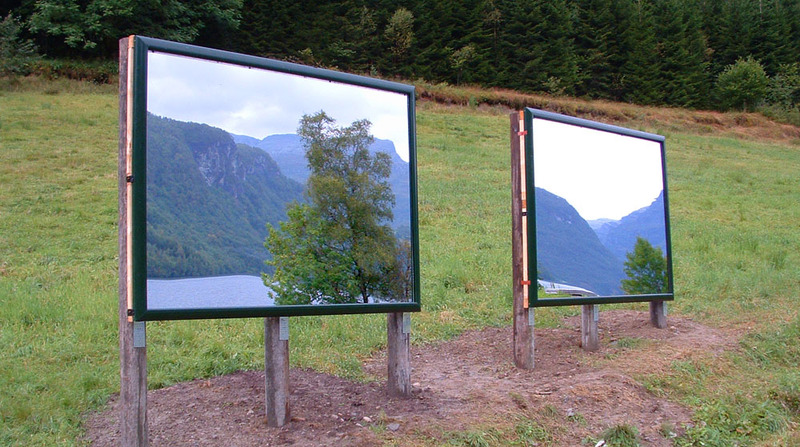 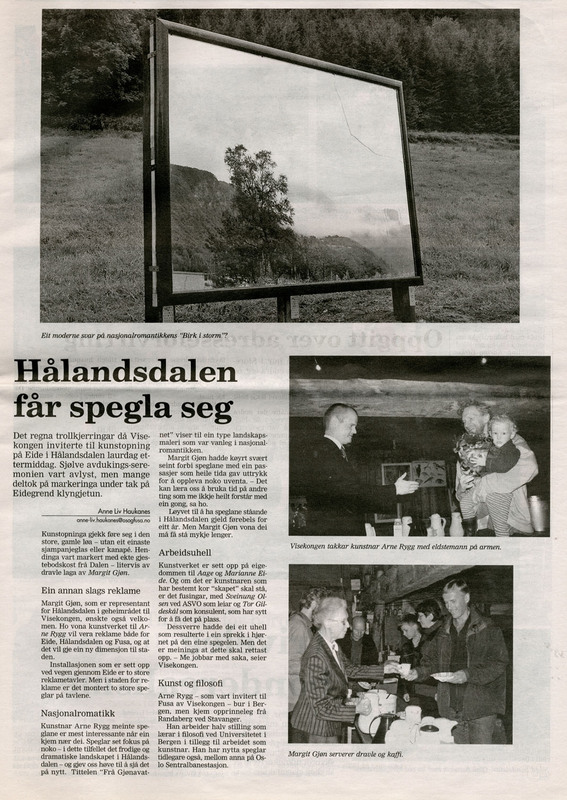 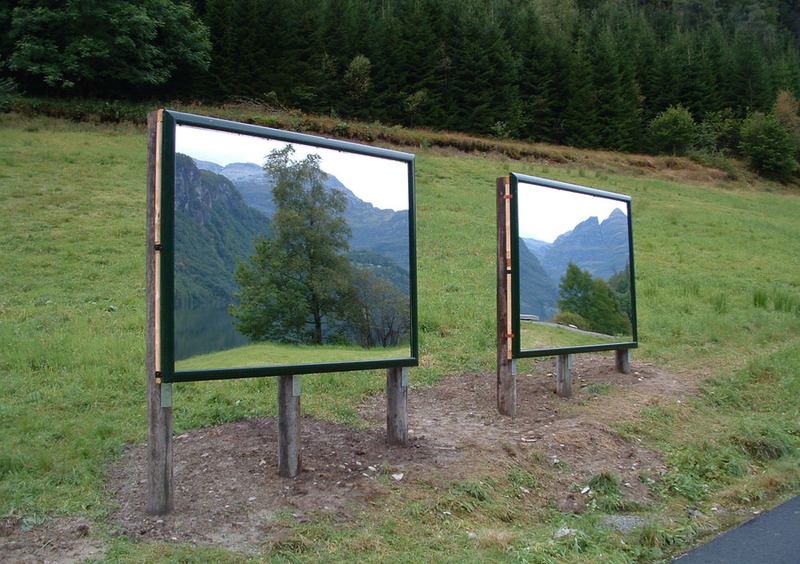 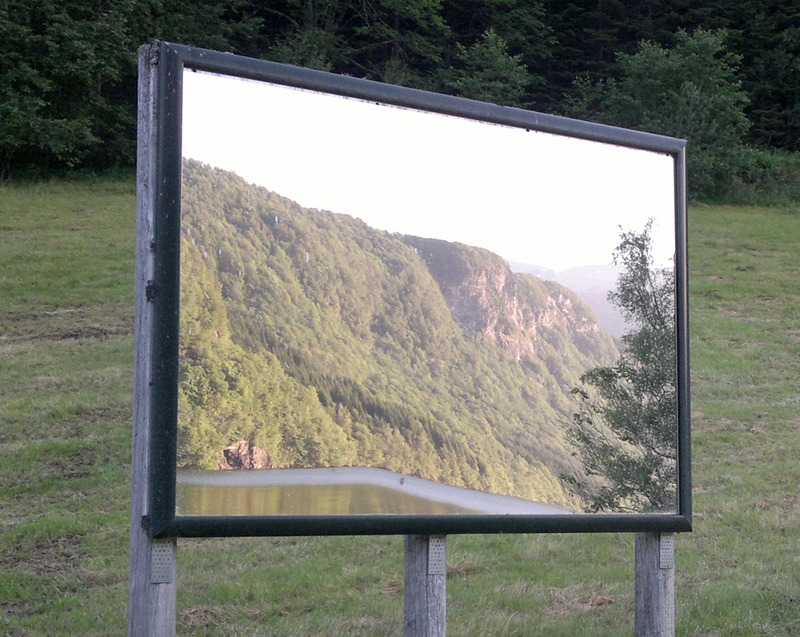 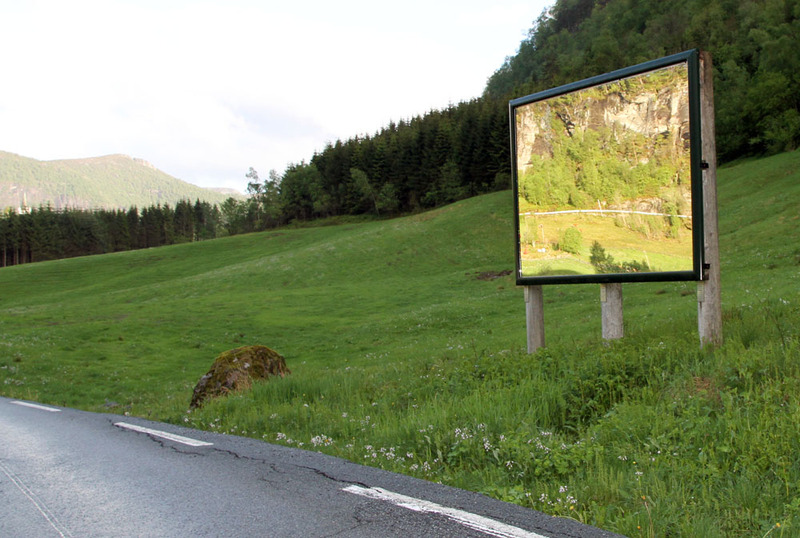 From Gjønvatn - "Arne Rygg"
Advertising mirrors doubling and framing views of the beautiful Hålandsdalen in Fusa. 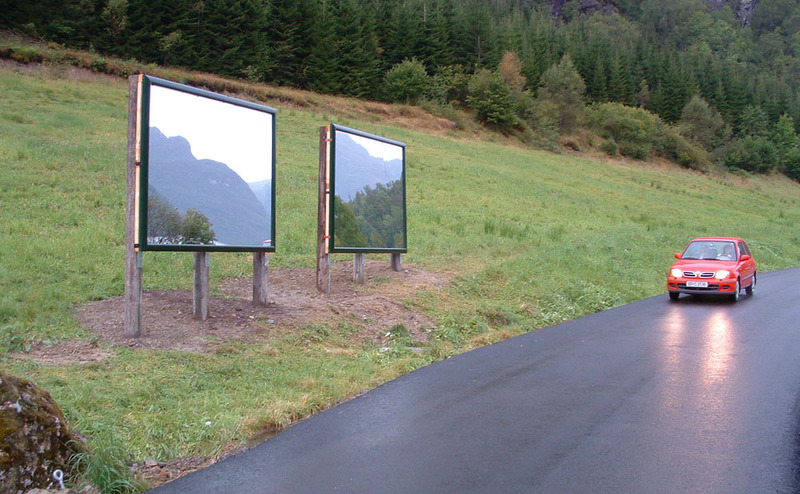 Like an advertisement it designates and «realizes» its point of view. 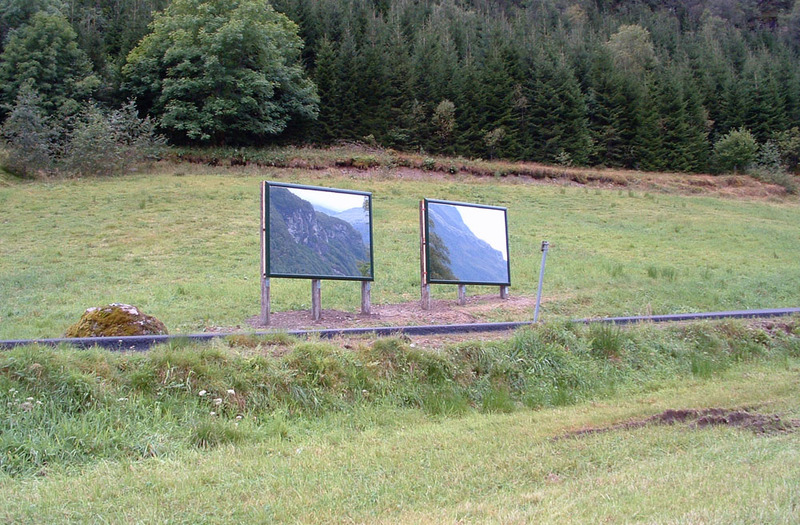 The piece plays on a possible link between advertisements and romantic landscape paintings. 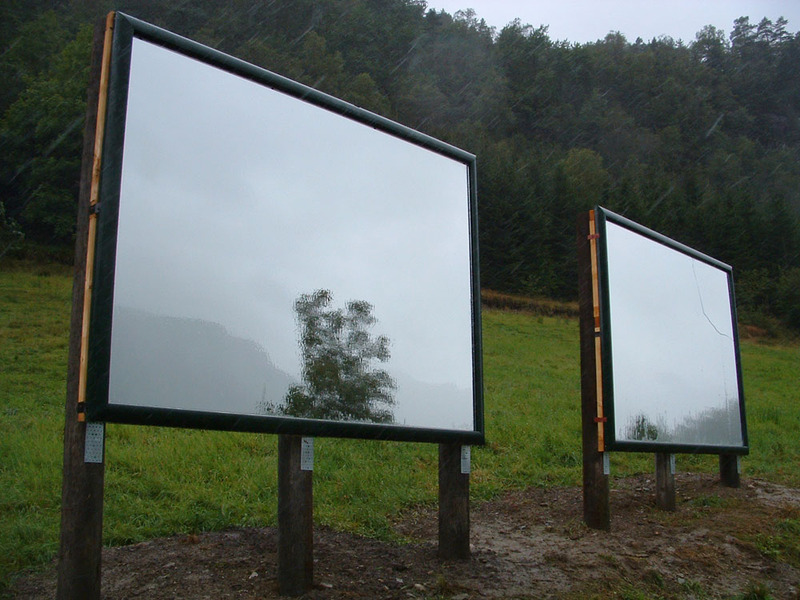 In different ways, the Norwegian painting of the nineteenth century and today's advertising both deals with construction of identity. 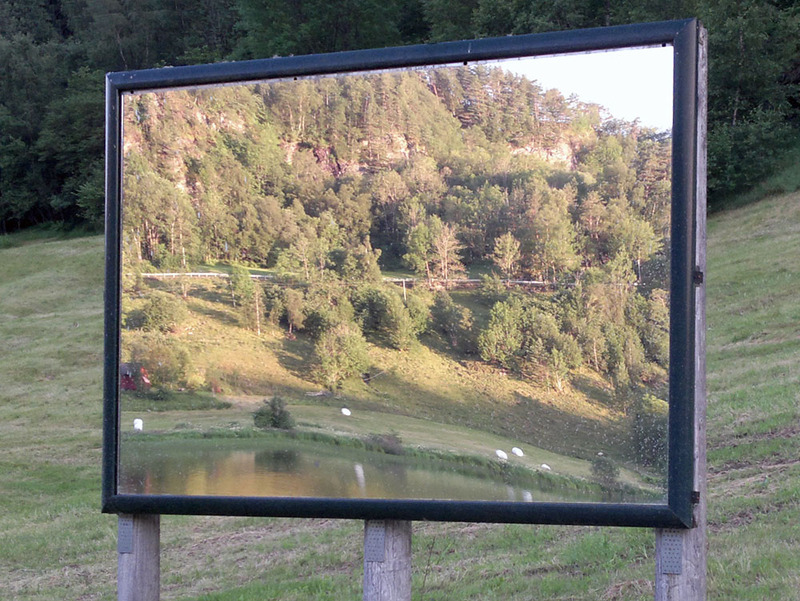 Both aims at shaping us by portraying themselves as reflections of our dreams.